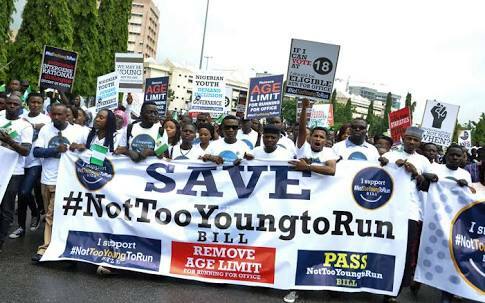 The convener of the ‘Not Too Young To Run’ initiative in Surulere Federal Constituency I in Lagos State, Mr. Ifeoluwa Chris, has called on youths to participate in politics instead of lamenting and blaming the older politicians. Speaking at the first general assembly of the group, themed, ‘The youth and their significance to the struggle for a new Nigeria’, Chris said the symposium was to create awareness for youths in Surulere and its environs to wake up from their slumber and join politics. In a statement on Friday, speakers at the symposium also called on youths to embrace politics and make sure they were registered before the 2019 general elections. The statement quoted Chris, who is an aspirant to the House of Reps, as saying, “Let us (youths) stop lamenting and blaming the older politicians. We are young and vibrant and if we feel things are not done properly then it’s high time we took up the mantle. He also donated books and other educational materials to students in selected schools across the nine wards that formed the constituency. He said the donation was to to make learning attractive and take pupils off the streets. The statement noted that the aspirant also organised a one-week free health programme for the people of his constituency. The programme included free eye test and distribution of drugs to people with different ailments. “The one-week free health programme ended with a visit to Heart of Gold motherless home where donations were made to the kids,” it added.